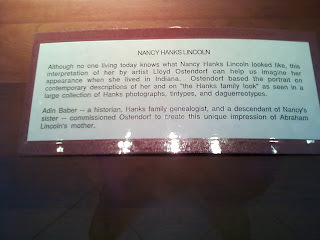 is located in Lincoln City (Spencer County), Indiana. 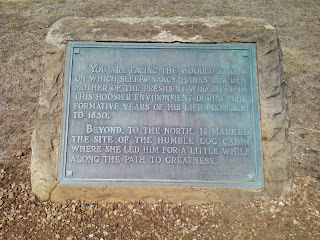 It is Indiana's memorial & tribute to President Abraham Lincoln. 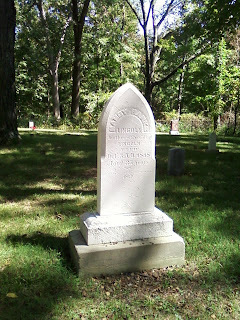 It is the site where he grew up and where his mother died and is buried. The museum has an artist's rendering of how she might have looked (below). 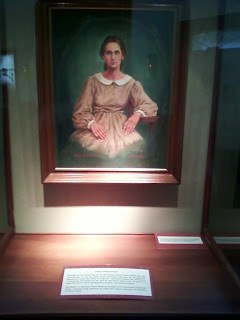 Read about this painting of Lincoln's mother. Here is the grave marker for Nancy Hanks Lincoln. 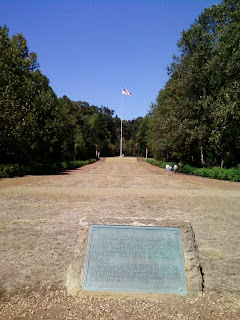 This plaque is at the foot of this long stretch to the wooded knoll where Nancy Lincoln is buried. 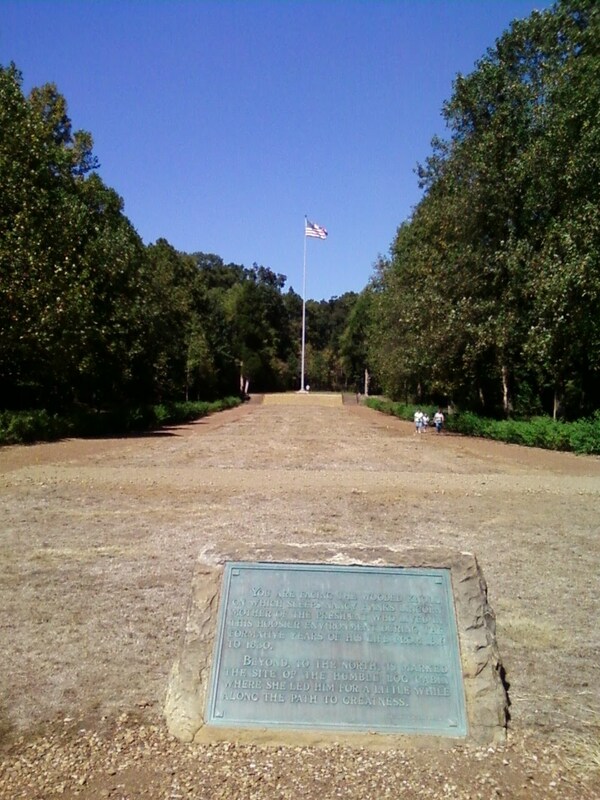 The grass has died from construction of a drainage system for the area.